Tiina’s blog post about the potential differences in attitude between summer and winter pilgrims throws up interesting comparisons with some thoughts I’d been having recently about seasonal patterns of pilgrim activity in the later Middle Ages, and how this might affect behaviour and intent. For the very practical reason that much of the unsurfaced or poorly-maintained medieval road network became impassably muddy between late autumn and early spring, the vast majority of pilgrim activity in medieval England was limited to the dryer months between April and September. Fourteenth and fifteenth century English weather was not, on the whole, conducive to long-distance travel, as the ‘Medieval Warm Period’ transitioned into the early-modern ‘Little Ice Age’ and the summer season became shorter, cooler, and wetter. It seems likely that a contributory factor for the decline in long-distance pilgrimage in favour of more local shrines would be the increased discomfort involved in travel. While Chaucer might insist that ‘Aprill with his shoures soote’ made folk long ‘to goon on pilgrimages’, and his pilgrims stick to the well-maintained London-Canterbury road, for most of the country those same sweet showers could turn most tracks into unpleasant knee-deep puddles. Despite the worsening weather, summer remained the high season for pilgrimage throughout the middle ages. Many cult centres attempted to popularise their saint by ensuring their feast day was at a time conducive to travelling. Both Canterbury and Durham, where Thomas Becket (29th Dec) and Cuthbert (20th March) had their original feast days in the off-season, provided their saints with new shrines and thus new feasts on the high-season dates of 7th July and 4th September respectively. On these days, and for two weeks afterwards, the golden shrines would be uncovered and their treasures displayed, resulting in crowds of curious pilgrims and a concentration of pilgrim activity. 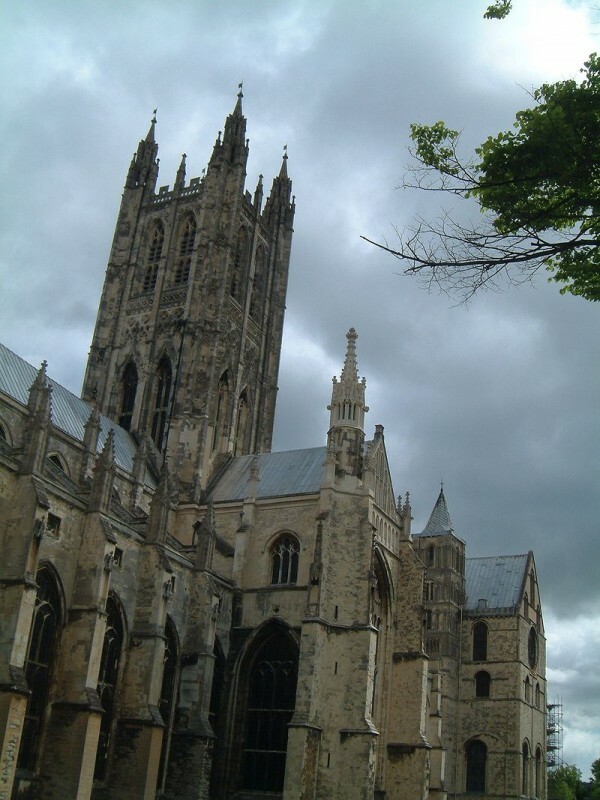 Accounts from early-16th century Canterbury indicate that the vast majority of pilgrim donations were received between the 6th and 20th July each year. Those from Durham at the turn of the 15th century show the week of 4th to 11th September to be the shrine’s biggest earner, although the original feast of St Cuthbert in March remained popular. ‘Summer pilgrims’ could combine their pious motives with what we might consider to be more typical vacation activities. In a 15th century continuation of the Canterbury Tales, the Knight and Squire spend time checking out the newly-built city walls of Canterbury, the Wife of Bath and Prioress take a stroll round the city gardens, the Merchant goes shopping, while the Monk, Parson and Friar meet an old acquaintance. The Pardoner spends his time attempting (and failing) to seduce their female innkeeper, and it is clear that holiday romances on pilgrimages were common. One 14th century poem sets out the excuse of a woman made pregnant by a clergyman: ‘I shall sey to man and page/ That I have bene of pilgrimage’. If ‘summer pilgrims’ could behave badly, and there is a considerable overlap between ‘genuine’ pilgrim activity and a curiosity bordering on the modern idea of tourism, what of those that made the arduous journey in winter? Some had no choice, and the afflicted sick might seek out the healing powers of a saint even in the depths of winter. In 1445 a pilgrim from Devon made the 350-mile journey to St Cuthbert’s shrine in Durham at Candlemas (2nd February) to seek a remedy for his ‘mesrable seknesse in hys body’ and ‘hertly hevynesse’. As a Devonian I can empathise with his efforts, and am happy to report that he was rewarded with a cure. Others might come to seek the greater spirituality that, as Tiina notes, many people associate with the quieter, colder, darker winter months. The 15th century celebrations at Canterbury on Thomas Becket’s 29th December feast are illuminating in this regard. They appear in the 1428 customary of the shrine, which I am currently editing for publication. The shrine-keepers received 7lbs bread, 7lbs cheese and 7 gallons (56 pints) of beer and a load of charcoal from the kitchen and cellars for the pilgrims who turned up the evening before the feast. These ‘winter pilgrims’ stayed in the nave of the cathedral overnight, with the church lit up by massive candles. In the middle of the night, the pilgrims were let into the shrine where they were told stories from the life of St Thomas in English and were served the bread, cheese, and beer around a fire(!). At dawn the pilgrims went to three Masses in succession, at the site of the martyrdom, the original tomb of St Thomas in the crypt, and finally at the golden shrine itself. The scale of the provisions on offer suggest this must have been a small-scale event, and the sharing of food and vernacular stories about the life of the saint around a midnight fire in the cold, dark east end of the church points to a camaraderie and companionship of pilgrims that seems lacking from the descriptions of the summer crowds. It is worth remembering that medieval pilgrimage, as with any aspect of medieval life, was just as complex and variable as the contemporary pilgrim experience. Not all pilgrims were ‘good’, and many travelling in high season might have various reasons for doing so of which pilgrimage was one part. For those seeking out meaningful encounters with a saint, then as now, they might find being a ‘winter pilgrim’ to be a much more fulfilling experience.